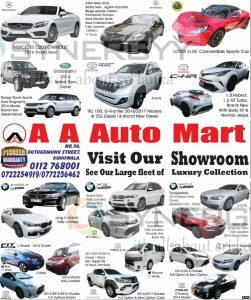 A A Auto Mart Kohuwala brought you a very luxury fleet collection into Sri Lanka with a special price and special leasing facilities. Jaguar Land Rover unveiled the all-new Jaguar F-type Sports Car and Range Rover Sport 2017 in Sri Lanka, which showcases the continuous revolutionary technological advancements of the iconic British motor brands. The models were unveiled with the presence of Jaguar Land Rover Asia Pacific Managing Director Robin Colgan, Jaguar Land Rover Asia Pacific Customer Service Director Andy Wust and British High Commissioner in Sri Lanka James Dauris. Colgan said that the two new models represent the British heritage in automobiles. 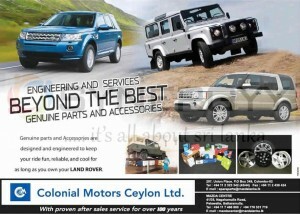 “For the last seven decades, we have improved our models while preserving the British heritage and class. We are looking forward to introduce the all-new Discovery 5 by May next year and also the all-new Jaguar F-pace SUV,” he said. “In addition to the new launches, Jaguar also marked the start of a new era with the unveiling of the I-PACE Concept. A preview of Jaguar’s first-ever electric vehicle that will hit roads in 2018, the I-PACE Concept, is part of the brand’s drive towards a cleaner future,” he added. Dauris said that Jaguar Land Rover is an iconic brand of the British motor industry, which speaks about the class and heritage, which have been preserved since various models were introduced over the last seven decades. SML Frontier Automotive (SMLF) Managing Director Sheran Fernando said that he is pleased to welcome Robin and Andy and that it is an opportunity to thank the Jaguar Land Rover team for their continuous support. 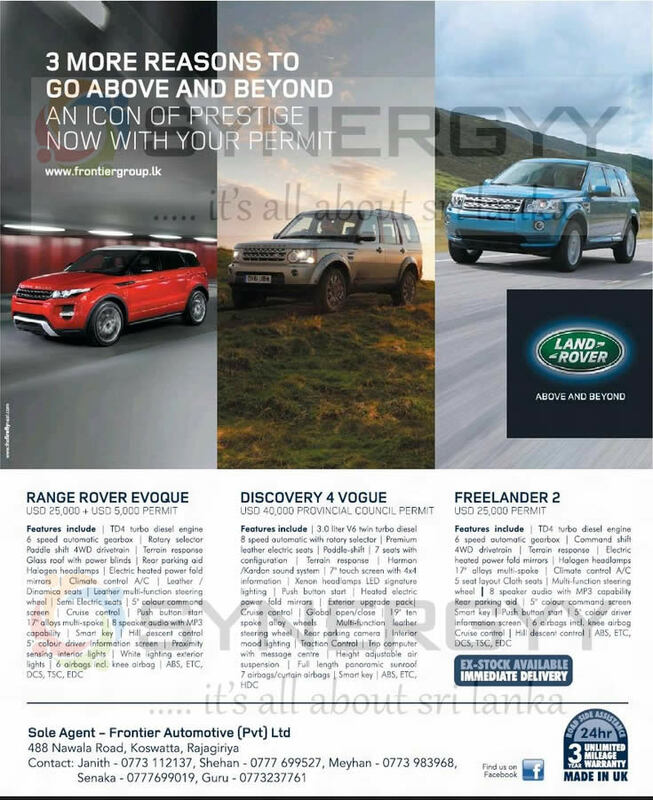 “As the sole authorised distributor of both the Jaguar and Land Rover brands in the country, SML Frontier Automotive is proud to offer these best-in-class vehicles to our customers, along with our commitment to delivering superior standards of customer service and care,” he said. Wust said that over the last 12 months, significant investments have been made on a regional training academy in Singapore providing both technical and non-technical training to dealers across the region. “A high-quality experience for our customers depends on three things – well-equipped facilities, highly trained teams and good parts availability. With SMLF, we believe that by providing an excellent customer service, it will continue to give us a strong advantage in Sri Lanka going forward,” he said. SMLF’S showroom is located at No: 74, Flower Road, Colombo 7 and the company’s state-of-the-art repairs workshop is located at No: 17, Dehiwela Road, Boralasgamuwa. The new 2017 Jaguar and Land Rover models can now be pre-ordered at the showroom and a dedicated team is available to explain the latest specifications and advancements that are featured in the 2017 model year to customers. Jaguar Land Rover, UK’S largest automotive manufacturing business built around two iconic British car brands, has been owned by Tata Motors since 2008. The Government has provided conditional relief to individuals who had opened Letters of Credit to import hybrid vehicles before the interim budget. Financial Ministry officials said they would not be charged new taxes until March 16. The decision to provide relief to the individual importers of hybrid vehicles came after a series of discussions with the Finance Ministry. The relief will apply to those who have ordered hybrid vehicles below 2,500cc engine capacity. Accordingly, individual importers will not be able to transfer the vehicle for four years from the date of registration. The vehicle should be registered under the importer’s name. In the interim budget presented to parliament on January 29, those importing hybrid vehicles were required to pay additional taxes of more than Rs 600,000. 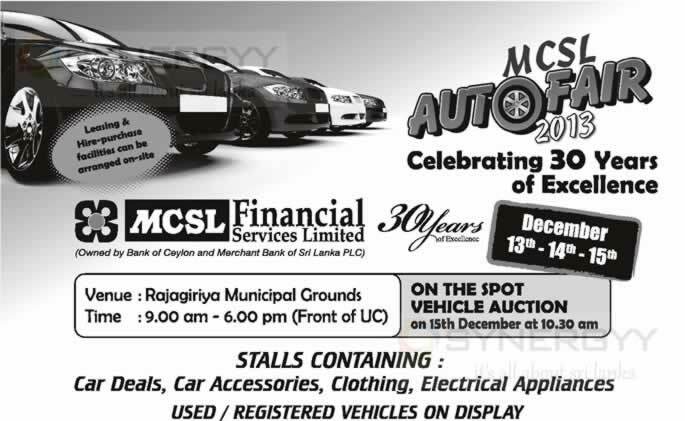 The move drew protests from individual vehicle importers and car sale owners. However, no relief has been provided to car dealers. Here is quick view of the Customer Duties of all Hybrid and Electric Car available in Sri Lanka,the below table shows the previous and current taxes and how much has increase or reduce in taxes. Above duties are approximate and subject to differ from seller. Experience the best wild safari you’ve ever dreamed of, feel the freedom, let it take you to the places that others has ever seen. 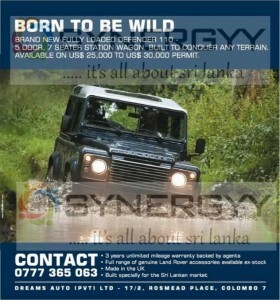 Break the rules of off road driving with new fully loaded Defender 110. 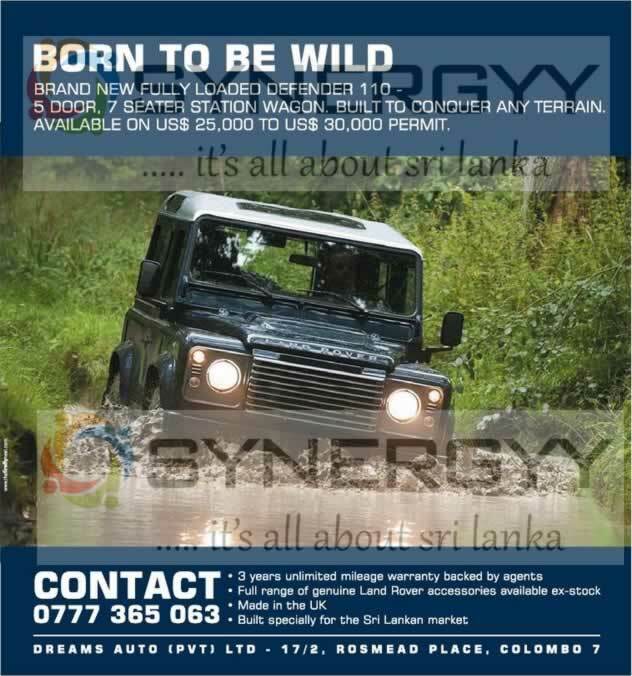 Experience your wildest journey that you’ve ever dreamed of Come to us at Dreams Auto (PVT) LTD, at 17/2. 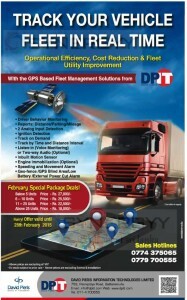 Rosmead place, Colombo 7 or call us on Contact: 0777365063. 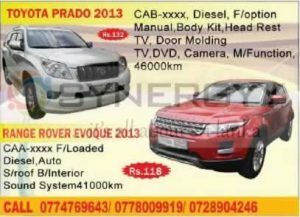 The Frontier Automobile Private Limited announces the special offer for the Land Rover Ranges. 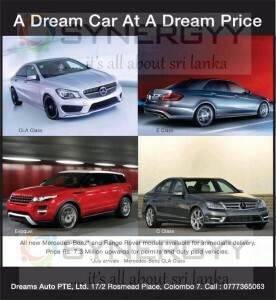 Own your Dream Car at a Dream Price from the Dream Auto PTE Ltd for Rs. 7.3 Million onwards. 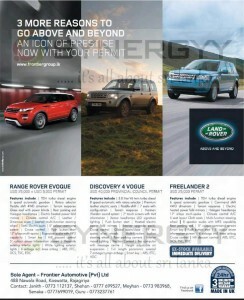 All Mercedes Benz and Range Rover models available for immediate delivery for the Price from Rs. 7.3 Million upwards for permits and duty paid vehicles. 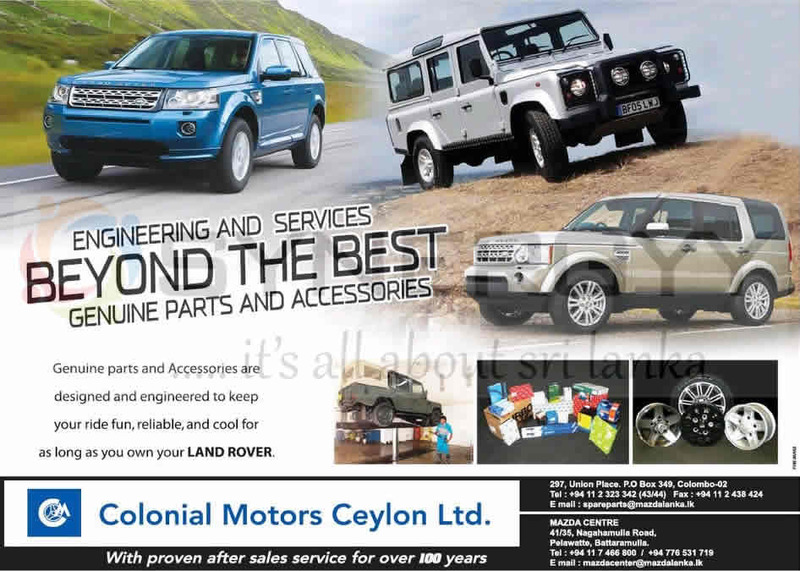 Are you looking for any spare parts of Land Rovers in Sri Lanka, Buy your genuine parts and accessories which are designed and engineered to keep your ride fun, reliable, and cool for as long as you own your LAND ROWER. 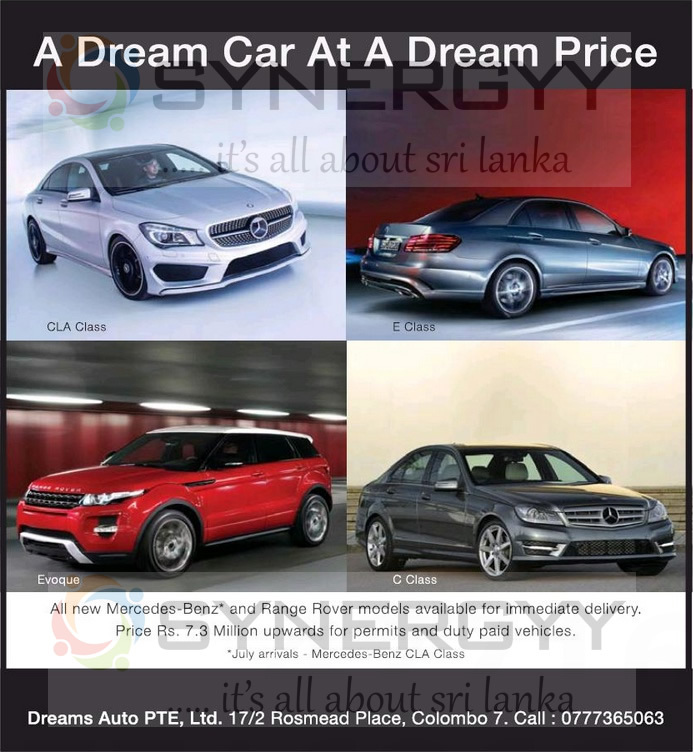 41/35, Naganamulla Road, Pelawatte, Battaramulla.